The Manfrotto 055X tripod and ball head pair is a sturdy and lightweight aluminium tripod solution ideal for photographers shooting a range of subject matter. 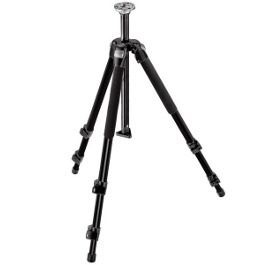 The Manfrotto 055XPROB Tripod has been designed for professional photographers and is a pleasure to use. It is an extremely versatile tripod, ideal for small to medium-large camera setups. This tripod features the Manfrotto-patented horizontal center column feature, which allows the center column to flip quickly and easily from vertical to horizontal. By extending the column to its highest vertical position, it can be swung over to horizontal without removing the head or disassembling the column itself. 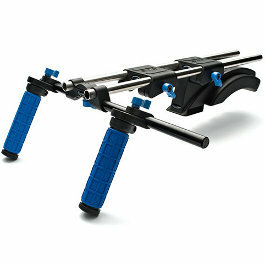 The ergonomics of the leg-angle release mechanism and the quick action leg locks have also been improved. 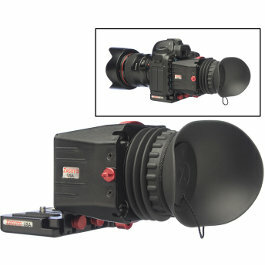 The 055XPROB’s flip-locks allow quick adjustment to the tripod’s maximum height of 70.3″ or minimum height of just 3.94″. 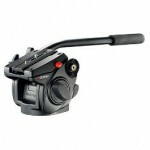 It is ideal for use with 35mm and light medium-format photographic cameras and video camcorders. Coupled with the 055XPROB legs is the Manfrotto 501HDV fluid head. 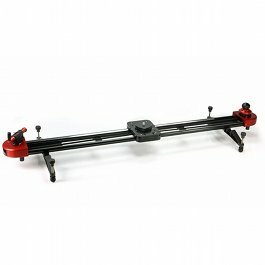 Taking its inspiration from top professional video head models, the 501HDV features a fixed counterbalance spring set for a typical weight of camera and accessories of 2.5kg that helps ensure both smoother tilt movements and greater equipment safety even when tilt locks are inadvertently left off. The easy-to-reach on/off switch allows the counterbalance system to be disengaged or re-engaged for different filming setups. With its improved design, the 501HDV head offers more ergonomics with locks and knobs that allow a more solid grip and better fingertip control.